How can I or my company sponsor ISCTD programs? 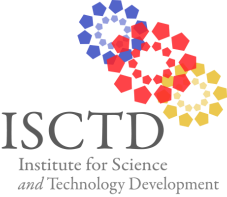 Sponsors of ISCTD programs proudly share the common goals of finding creative ways to improve interest and representation in the global discourse on health and education in developing countries. In these fields, science and technology have had a major contribution as they impact society, and this impact is growing by leaps and bounds. In our current age, science and technology development is relevant to many of our systemic functioning and is beneficial to the important development infrastructure including quality education, public health initiative, good communication, power supply etc. These development infrastructures are relevant to sustainable productivity in these countries which will greatly impact the countries’ economic output and can substantially influence the current poverty alleviation initiatives initiated by many individuals and countries around the world. Individuals and Companies can sponsor our program development, events or contribute to our efforts (including other unique non-event or program sponsorship opportunities). If you or your companies are interested in becoming a sponsor of any of our projects or programs, please contact us at sponsor@isctd.org.